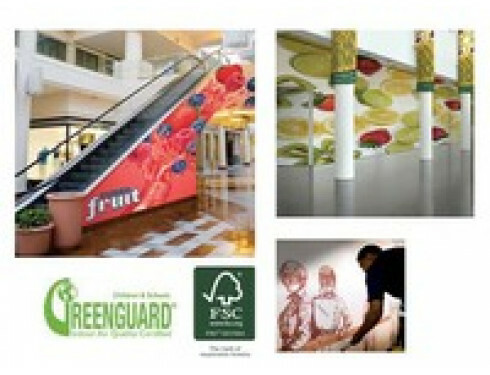 Liven up your business or home interior with Hp PVC-free Wall paper. 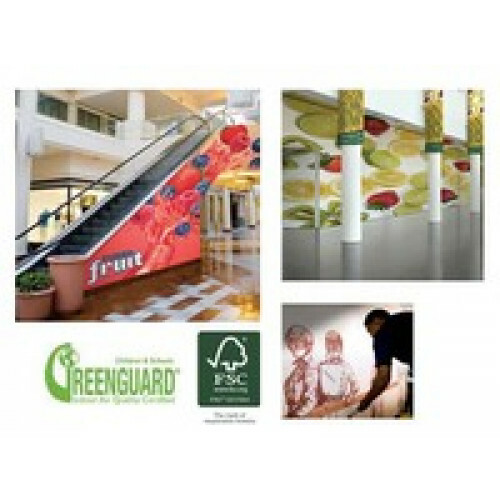 Odorless prints, child-safe and eco-friendly, Hp PVC-free Wall Paper is a great way to display graphics indoors with the environment in mind. Application and removal is easy, just add water to activate the glue on wallpaper backing. Will last up to 20 years. For more information about this Hp product. Usage: Indoor. Last up to 20 years. Q: Do I need an overlap for oversize wallpaper? A: Overlap is recommended for easier installation. Q: Does it come with adhesive backing or glue backing? A: Hp PVC-free Wall paper has a water reactive glue backing. Easy to install and remove with just water.